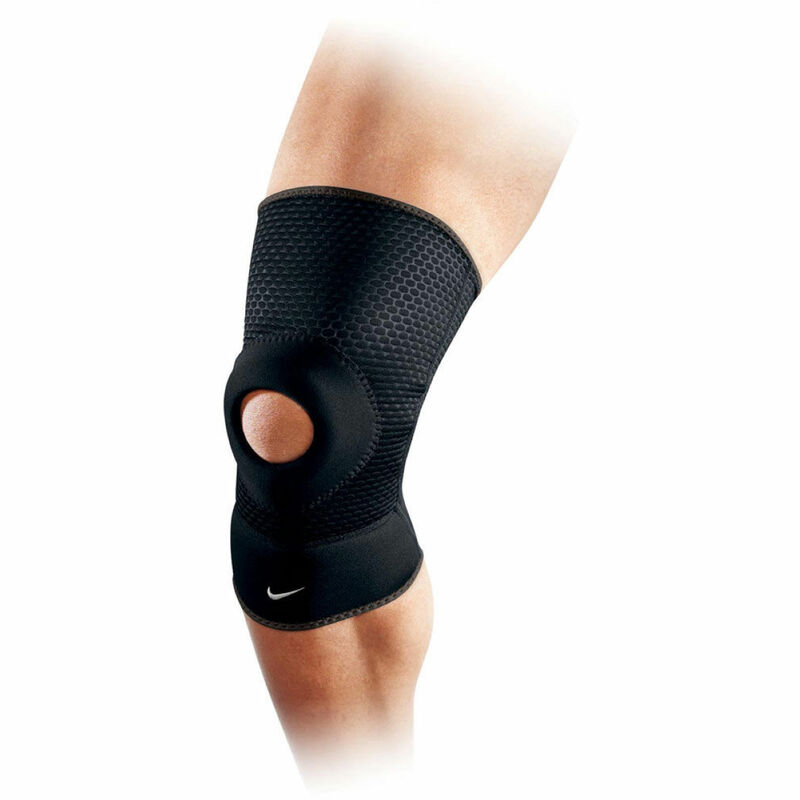 This Nike Open Patella Knee Sleeve is manufactured for knee joint, muscles and ligaments protection and compression during physical activities such as running, weightlifting and basketball to avoid different knee joint and muscles injuries such as fatigue, pulls, sprains and strains. As this knee sleeve has opening for patella, it does not protect the knee cap, but supports and protects other knee structures. This Nike Open Patella Knee Sleeve has features which are ensuring two effects – ultimate support & protection and excellent dryness & comfort. Thanks to its elastic fabric, it has stretch construction, therefore, it is easy to pull-on. 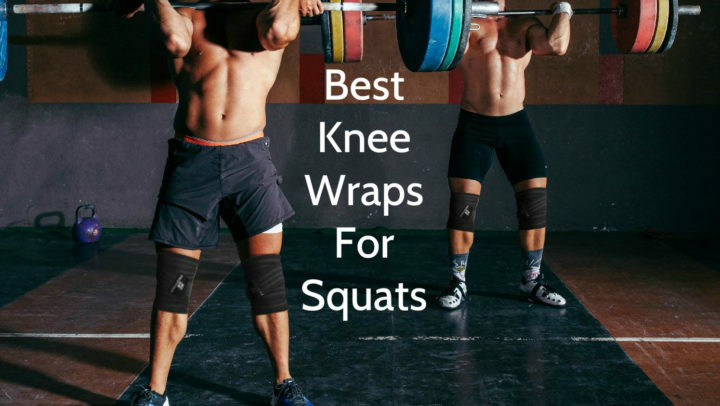 Despite the elasticity of fabric it also has compression functions which supports and warms the knee, its muscles and ligaments, preventing their injuries, but at the same time it is not too tight, providing snug comfort. Despite the warmth effect of compression, athlete does not overheat, because this Nike knee sleeve has strategically placed mesh vents which give constant ventilation and thus breathability by regulating the temperature, therefore, athletes can feel cool and dry all game long. Another feature of this knee sleeve is lightness, but at the same time it does not loose its supporting and protecting functions. Considering that this is knee sleeve, it has slim and smooth look. It also has mesh ventilation zones and opened patella. Its fabric has interesting relief, which gives it modern and stylish look. It comes only in black color and it has embroidered Swoosh logo on bottom. To find out your knee sleeve size, you have to measure your lower tight circumference – girth of your lower tight. When it is done, follow the table below. This Nike Open Patella Knee Sleeve is intended for knee joint, muscles and ligaments protection and compression during running, weightlifting and basketball to prevent different injuries such as fatigue, pulls, sprains and strains. This product is made of polyester, thermoplastic rubber and elastane. 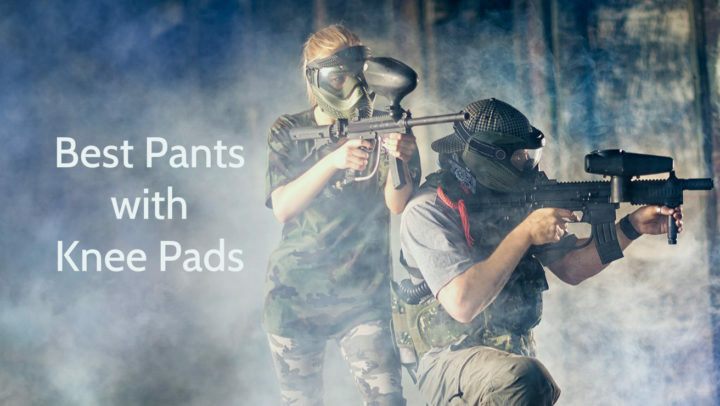 This knee sleeve is available in four different sizes – S, M, L, XL, and its weight depends on its size. As this sleeve has several sizes, it is suitable both for adults and youngsters, unless their dimensions are appropriate to given sizes. This Nike knee sleeve has only one color which is black. Nike Open Patella Knee Sleeve has many features, for example, opened patella, stretch construction, easy pull-on design, compressive fit, great breathability and lightness. This sleeve is machine washable and usually it is sold as single.